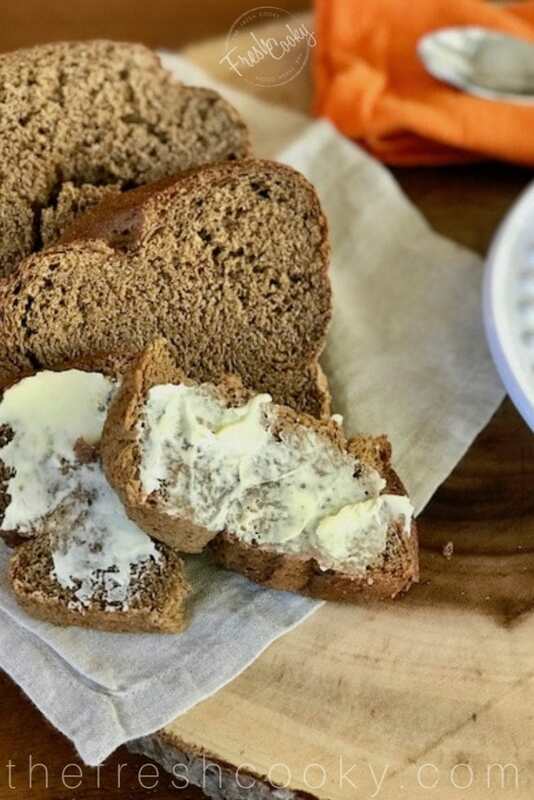 This Russian Black Bread features three different flours and a touch of molasses giving it a rich, chewy, hearty texture. 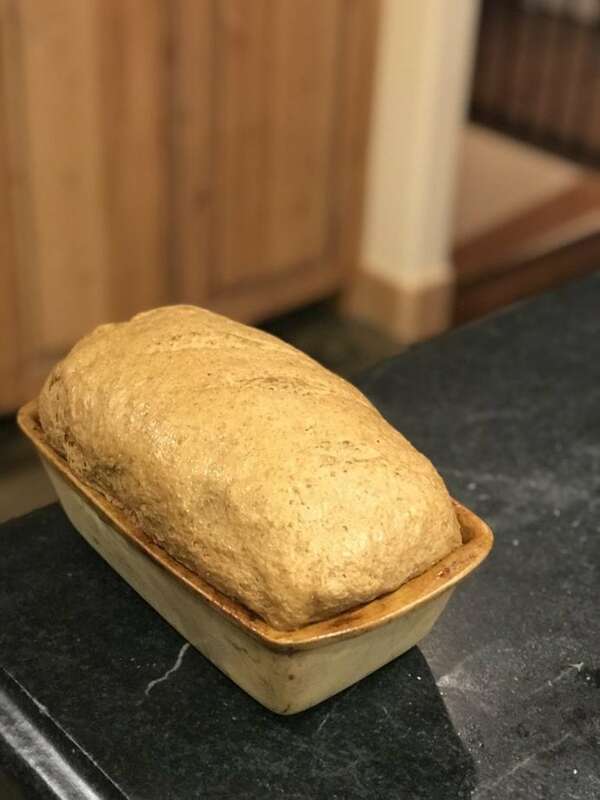 With hints of coffee and rye, it’s the perfect bread to accompany any savory meal, with it’s thick, chewy, dense texture, filled with great flavor. I like to use my bread machine for everything but the baking bit, it’s over 20 years old and it’s starting to act a bit funny; the loaves are not rising or baking like they should, so I’ve adapted this recipe to make in your machine through the dough stage and then transfer to a loaf pan to allow it’s final rise, then bake. But don’t worry if your machine works well, I’ve given instructions for that below. This makes a large loaf, about 1 ½ pounds. 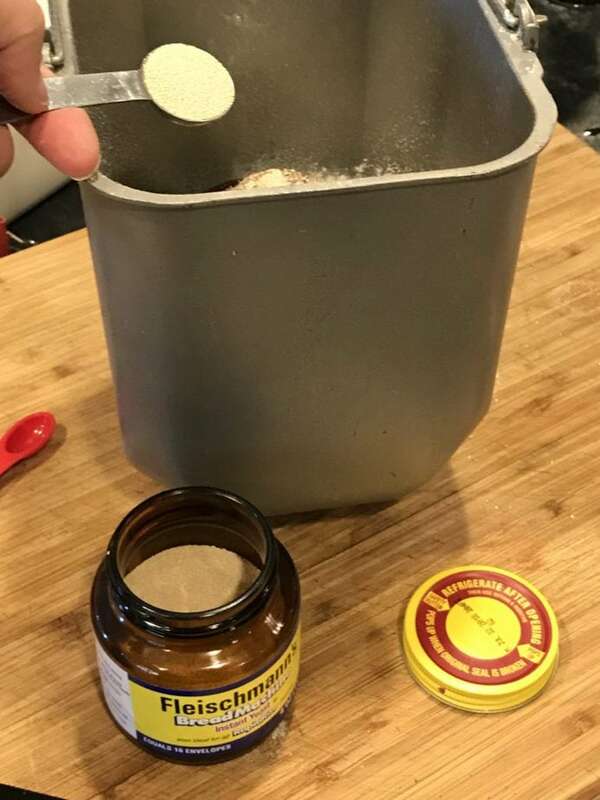 To convert to stand mixer, traditional method, see notes in recipe. Start by pouring your liquid ingredients in the bread machine pan in the order listed. Next add your soft butter, separate it into two tablespoons and then add your flours. 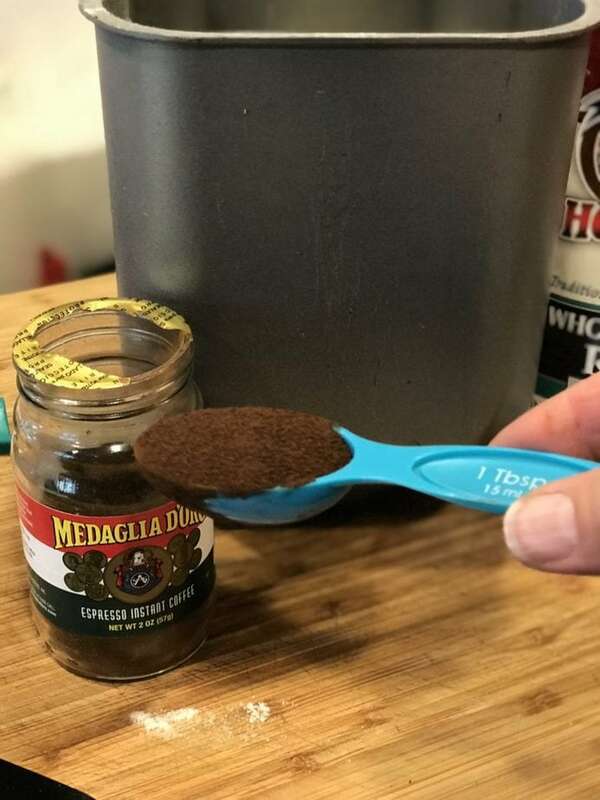 Add in your instant coffee. And your salt…put it to the side, yeast isn’t a fan of salt, so I try and put them apart from each other. 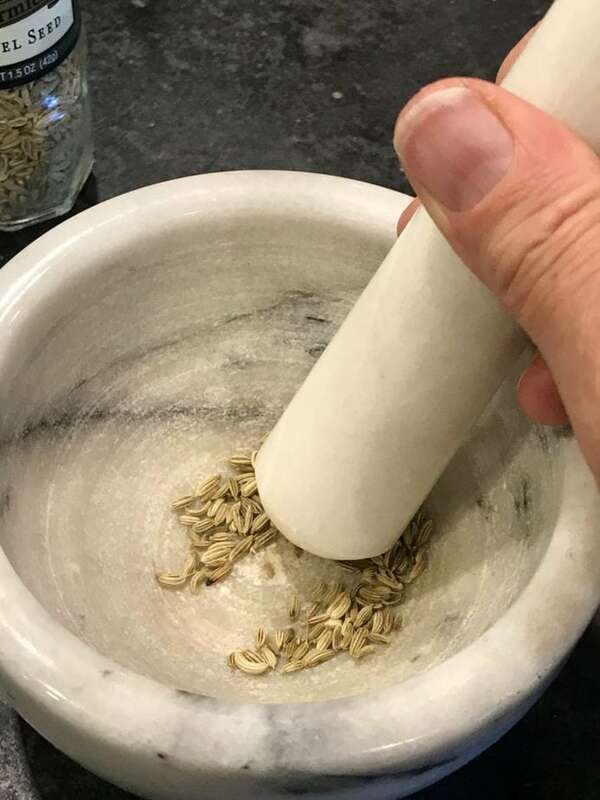 If desired, add your crushed fennel seeds, this is optional, but it isn’t an overpowering amount so if you happen to have them, crush some and toss them in. Place the bread pan inside your bread machine and choose the following baking options; Whole Wheat -> Dough -> Large -> Start. Plan on completing it in your bread machine? Let it do all of the work and choose -> Whole Wheat -> Medium (for color) -> Large -> Start. In about 3 1/2 hours you should have a beautiful loaf of bread. Or if only processing through dough stage, once it beeps, remove the dough from the pan and place in a greased loaf pan. Using a sharp knife, slice 3-4 diagonal slits across the top and cover with non-stick oil sprayed plastic wrap. Place in a warm place to double, about 30-45 minutes. 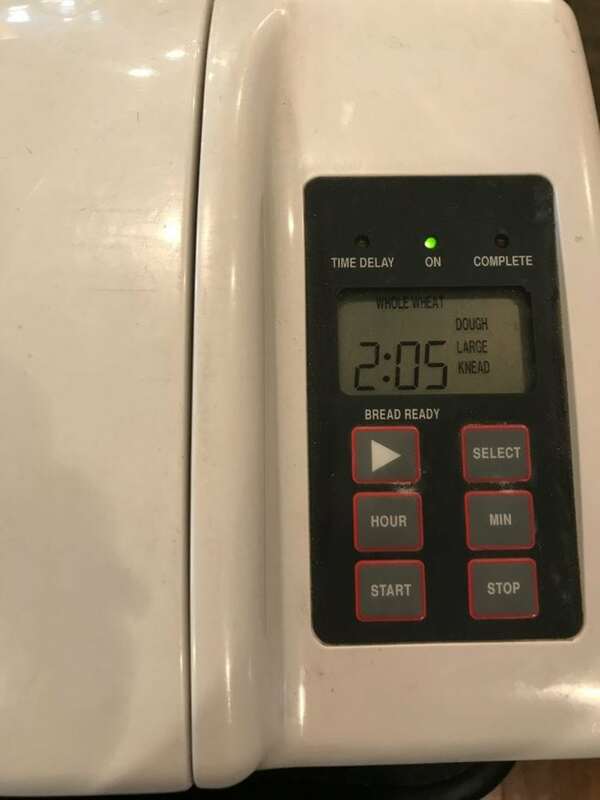 If you have a proof setting on your oven, use that, if not you can turn your oven light on and keep the door closed, or prior to placing in the oven heat to 100° and turn off before you place your loaf in the oven to rise. Oooh look at how beautiful that is! Once it’s doubled in size,remove from the oven and preheat the oven to 375°. Bake the bread on the middle rack for 30-35 minutes until it’s nice and crusty on top. If you can wait, allow to cool for about 15 minutes before trying to cut; if you cut immediately like I did, it will “squash” the loaf down, which is okay by me, because there is nothing quite as good as bread hot from the oven, but it’s not as pretty. Ain’t she a beauty! Slather on some butter, slop up some wonderful sauce with it, toast it for breakfast, anyway you eat it, you will love it. Give it a try with Italian Wedding Soup or Sunday Pot Roast, or Creamy Pumpkin Curry Soup. 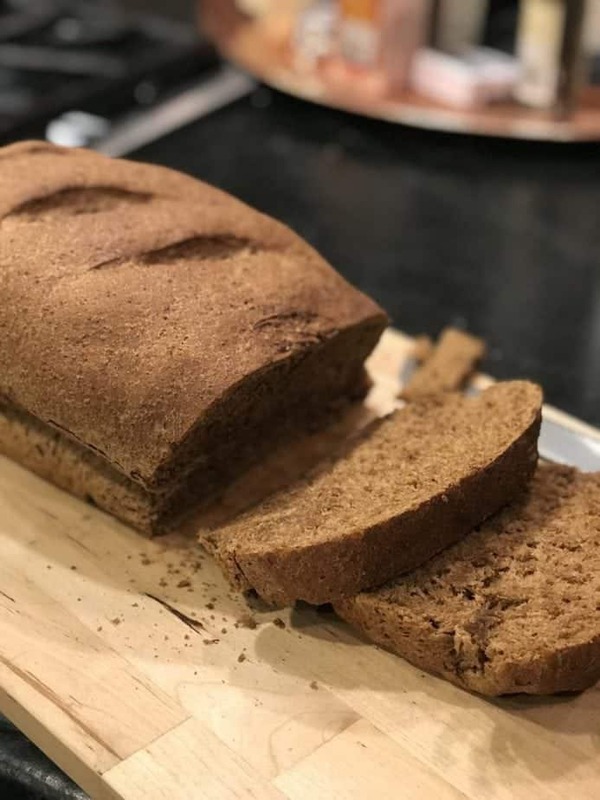 While I don’t think this is an authentic black bread, (after living in Germany, I would say it is not) but it is a lovely addition to your bread making repertoire. Russian Black Bread is a hearty, dark bread that has rye and other whole grain flavors. This bread goes perfectly with soups, roasts and stews and it’s a snap using your bread machine. Stand mixer conversion included. 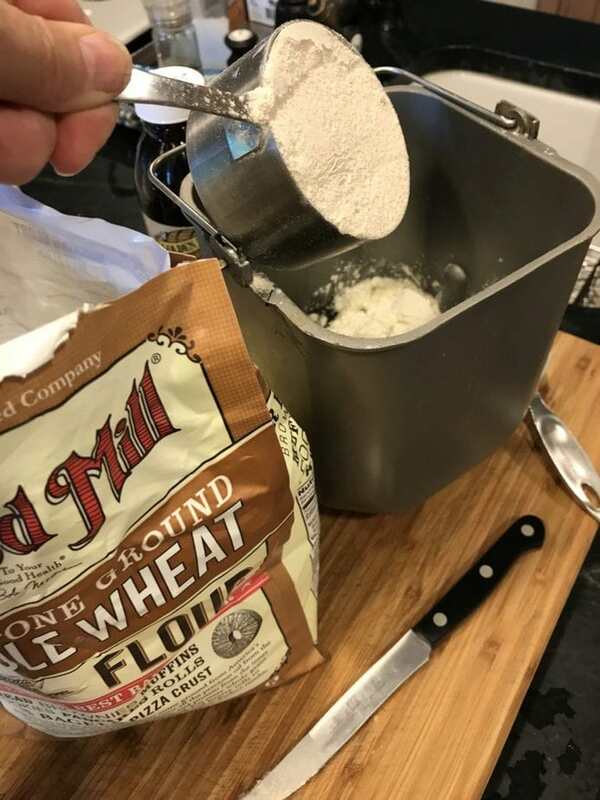 In bread machine pan, place all ingredients in order listed. Insert bread pan into machine, close lid. Press your select buttons to read Whole Wheat | Dough | Large and press start. Once dough is finished, remove from machine pan, kneading it once or twice, shaping it into a loaf shape. Place in a greased loaf pan. Using a sharp knife, slice 3-4 slits in the top of the bread dough. Cover with sprayed plastic and allow to rise in a warm place until doubled, about 30-45 minutes. Try using your oven wth the light on for a warm spot, or if chilly, turn your oven on to 100 empty. Turn off and open the door for 5 minutes or so to allow to cool down slightly, then place your loaf to rise in the warmed, but not turned on oven. Once doubled, preheat oven to 375 degrees (be sure to remove your loaf while preheating), remove plastic wrap and bake for 30-35 minutes until top is brown and crispy to the touch. Allow to rest and cool for 10-15 minutes before slicing with a serrated. Start by adding your ingredients in the same order listed. Mix well using your paddle attachment, then once dough forms, switch out to the J hook attachment and knead for about 5 minutes on low. 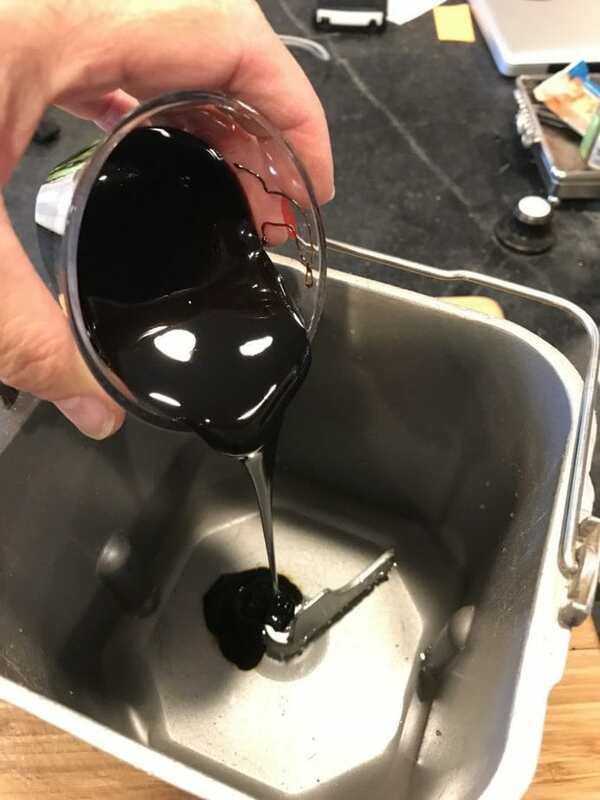 Oil a medium/large bowl and turn the dough into the bowl. Cover with damp tea bowl or oil sprayed on plastic wrap. Place in warm place and allow to rise until doubled, about 45 minutes to an hour. Punch down and knead for a couple minutes. 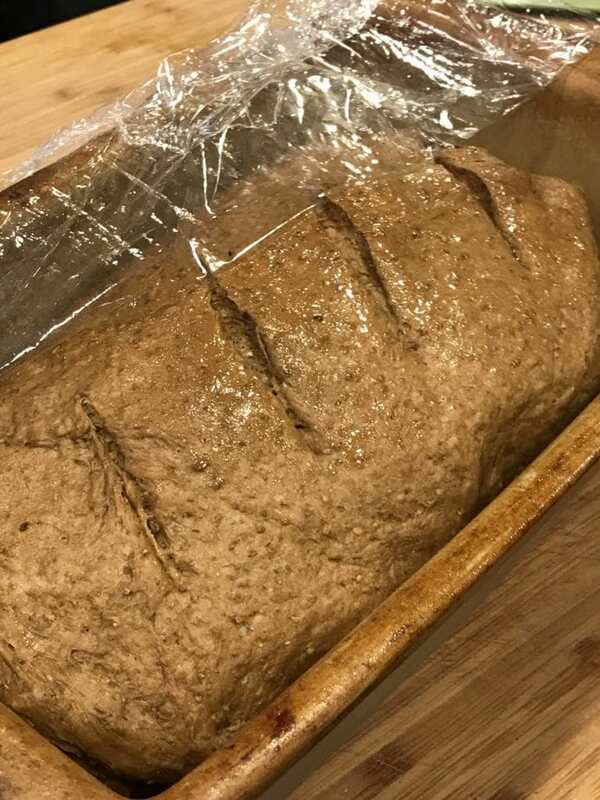 Place in greased loaf pan, slice a couple of diagonal slices on top and allow to rise until doubled again in a warm location, covering with damp tea towel or sprayed plastic wrap. Once doubled, preheat oven to 375° and bake for 30-35 minutes until crusty on top, allow to cool for 15-30 minutes before slicing. Copyright 2017 | This recipe for Russian Black Bread was featured first on The Fresh Cooky.